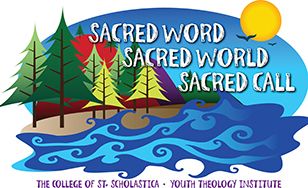 Information Meetings for the Synod Journey and ELCA Youth Gathering begin this weekend! Our outdoor ministry partners are still seeking summer staff: counselors, cooks and more! Do you know someone who would be a good fit? Encourage them to apply at one of the links below! And remember! It's never too late to sign up for camp! Encourage the youth and families in your congregation to take advantage of the transformative faith experiences our outdoor ministries offer! "Yes, they could crucify Jesus. Yes, they could bury Jesus. God's love for the world!" Now is the time to start planning and preparing for the 2018 NE MN Synod Journey and ELCA Youth Gathering! Below is info you need to begin this faith Journey! Spring Information and Training Meetings! Are you wondering what the Synod Journey and/or ELCA Youth Gathering is, and if this Journey is a right fit for your youth and congregation? These information meetings will answer your questions, and equip you to begin this year-long transformative faith journey with your youth and congregation! All adult leaders/volunteers are invited to attend! Registration is not required, but is helpful for planning. An online webinar will also be offered May 4 from 10:00am - 11:30am for those who can't make any of the in person trainings. You must register here to attend live, where you will be able to ask questions. A recording of the webinar will be posted on the Synod Journey website the next day. Registration Packets for the NE MN Synod Journey were mailed to congregations March 31. They can also be downloaded here. The Augsburg College Youth Theology Institute is a week long summer program for high school youth between 9th and 12th grade to explore theological themes and engage in meaningful discussions about faith. 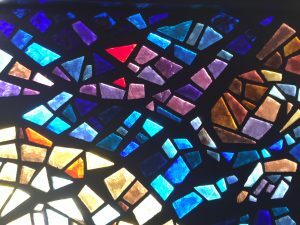 This year's theme is God's Mosaic: Diversity as Good News . We will explore the sociological theories, biblical narratives, and theological frameworks that help us see appreciate, engage and celebrate the beauty of diversity in God's world. This ecumenical leadership development and spiritual formation program for high school youth will give students a toolkit of theological and spiritual resources that will aid them in exploring their passions, gifts and calls. The program includes small groups, prayer, worship, service learning, conversations with professors, ropes course and wilderness experience. For those of you who may be using Group: Maker Fun Factory VBS this year, I will be hosting an informal idea-sharing meeting on Thursday, April 20th at 10:00 at Salem Lutheran Church in Hermantown. This will be a time to look at how we can all do the best VBS possible, and bounce ideas around to help us as we prepare. If you'd like to attend please just send me an email so I know to expect you! All are welcome!